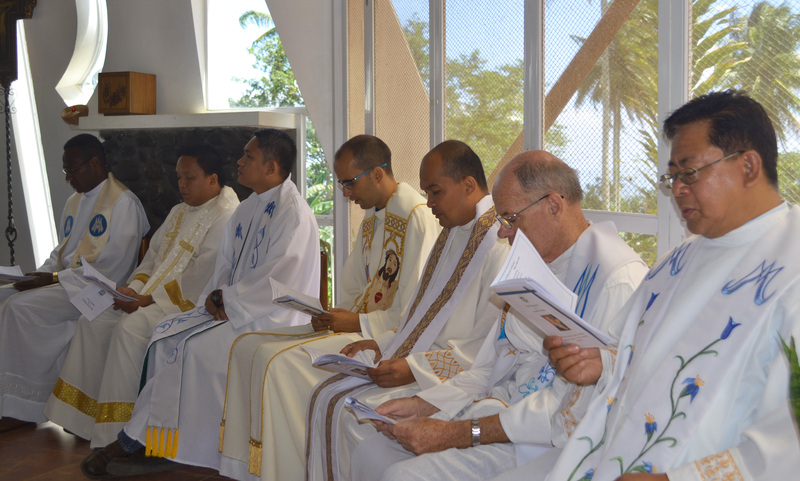 Last 25th of January, the Feast of the Conversion of Paul, the Brothers and Fathers of the Society of Mary jubilantly celebrated the First Profession of 8 young men coming from different parts of the world. 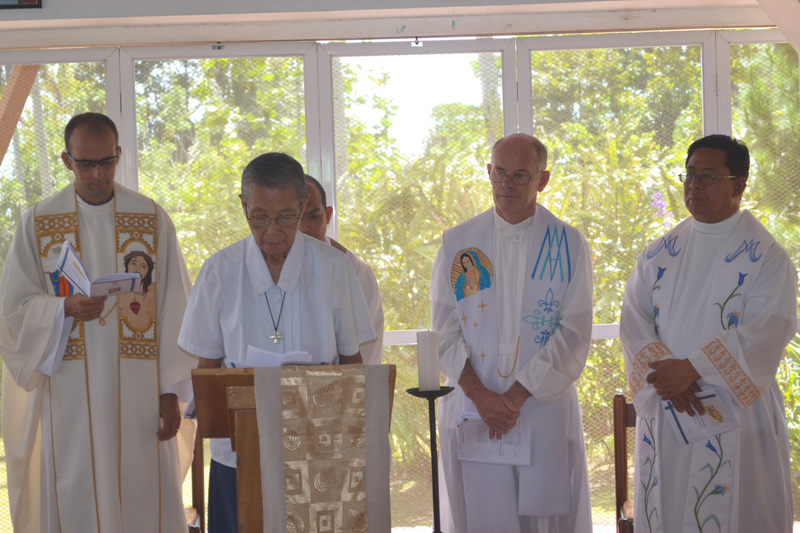 After 2 months of cultural orientation and 1 year Novitiate here in Davao City, Philippines, Ricardo Navarrete (Mexico); Leandro Martins (Brazil); Joseph Tora, Humphrey Leoi, Floyd Gatana (Oceania); Gabriel Mukong, Charles Apeke and Etiene Mansaly (Africa) promised to live the Vows of Chastity, Obedience and Poverty in the chapel of the Novitiate House at Eden, Davao. 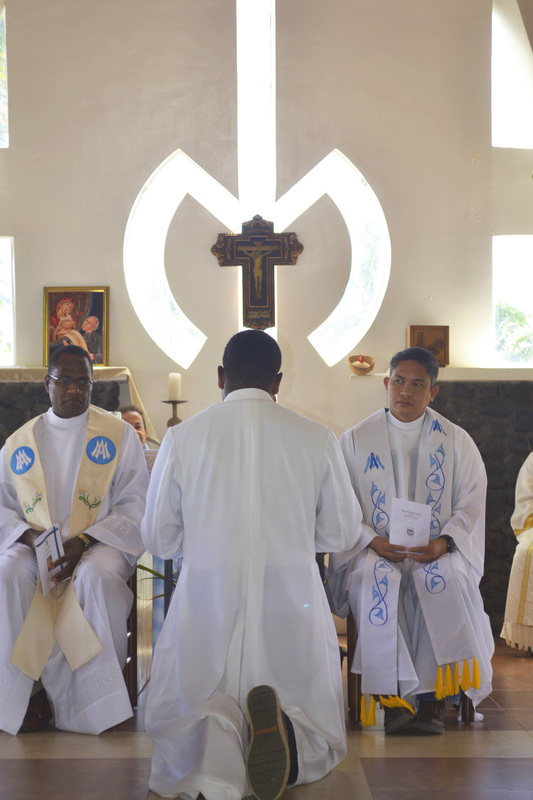 The celebration kicked off with the Mass which was presided by Fr. Kevin Conroy, sm. In a great opportunity, Fr. 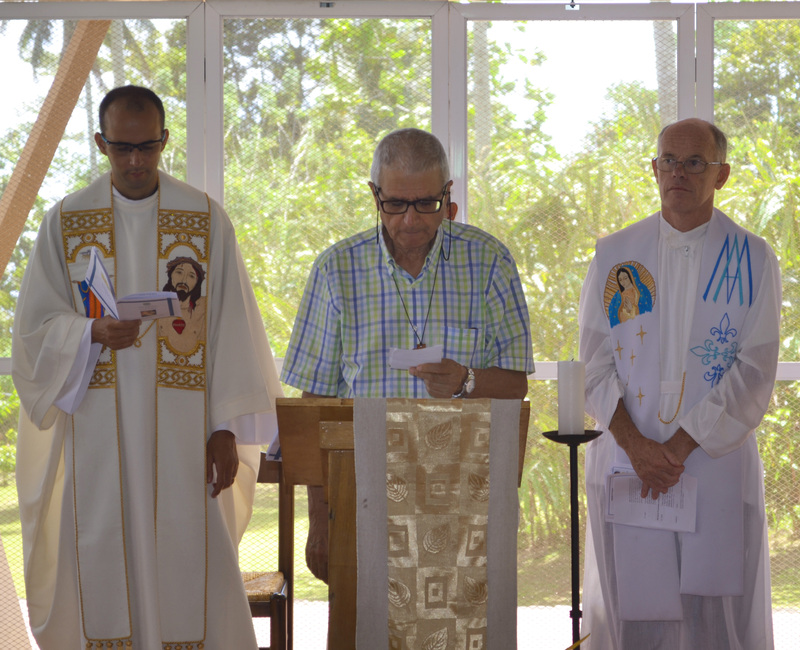 Larry Sabud, sm was the homilist in the Mass, and at the same time, in behalf of the Superior General, accepted the vows of the newly professed Marists. 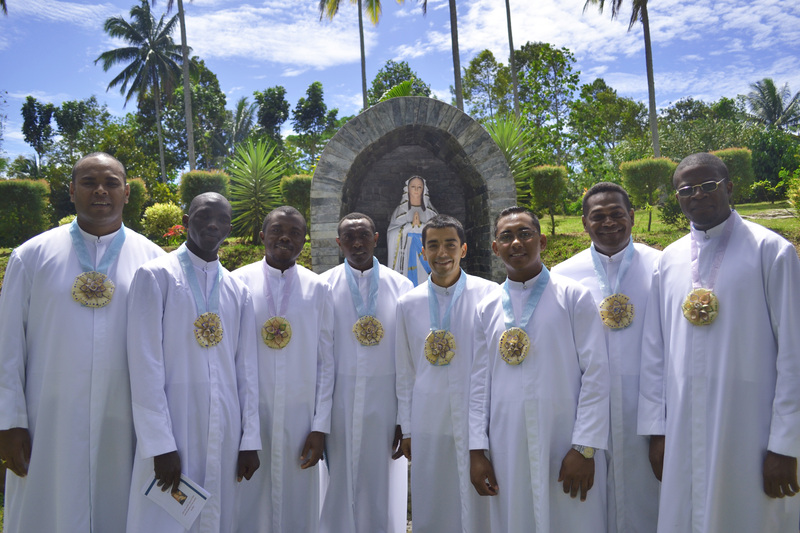 It was a wonderful moment for these 8 young men to offer their lives to the Society of Mary because the celebration was graced by the presence of the different branches of the Marist Family and their friends from different mission placements. 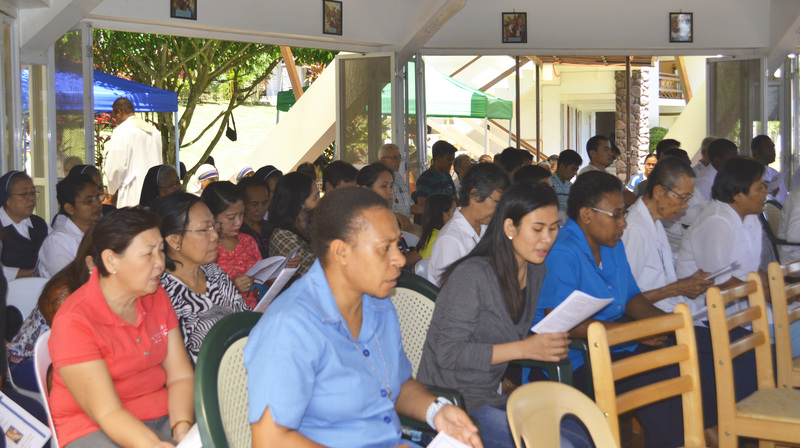 All the newly professed Marists are now flying back to their own units. 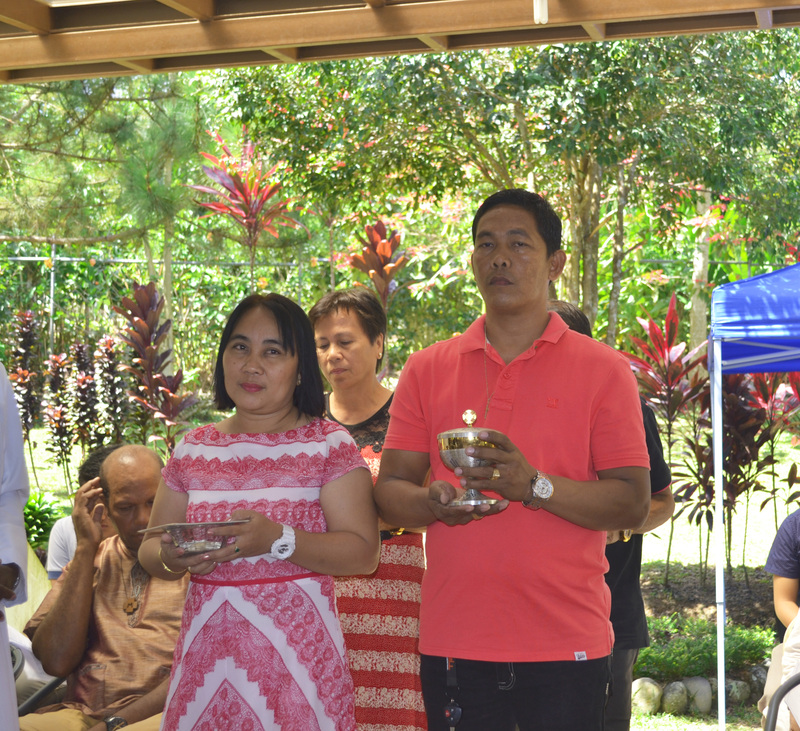 Prior to the profession last Monday, the Marists are once again blessed by a new batch of novices who has just started their Novitiate last January 23, 2016. 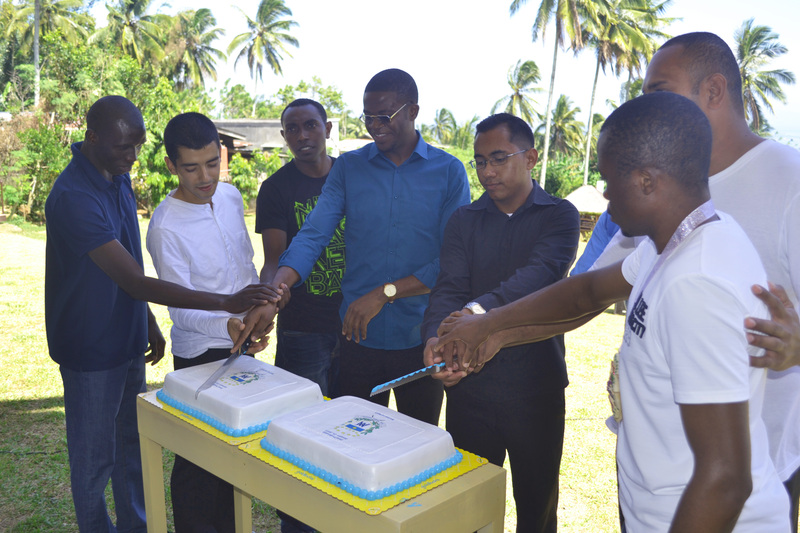 The new group is composed of 2 from New Zealand, 4 from Oceania and 1 from Africa. 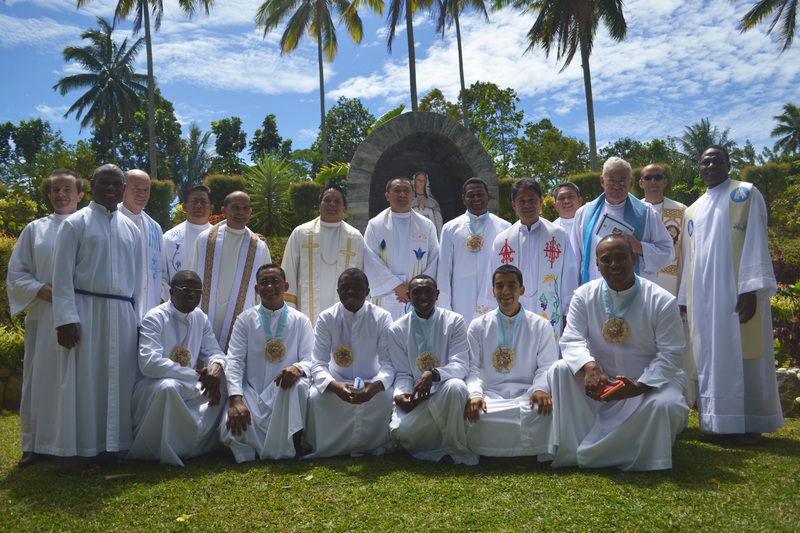 A big congratulations to our New Professed Marists, and All the best to our new Novices!